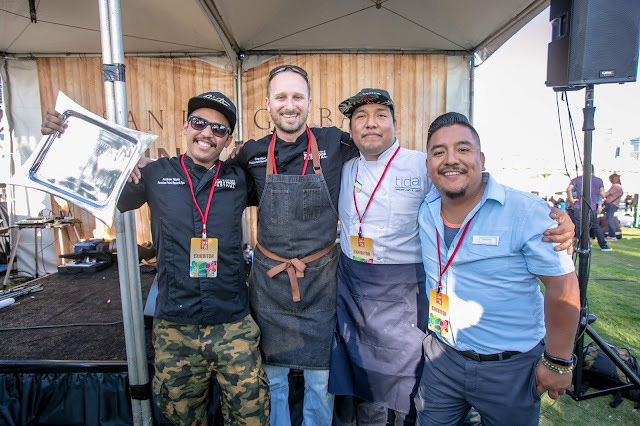 Chef Andrew Reyes of Paradise Point Resort & Spa crowned "Chef of the Fest" at the 2018 San Diego Bay Wine + Food Festival® | November 21, 2018 - Dine.Savor.Repeat. San Diego, CA – In conjunction with the American CulinaryFederation (ACF), the San Diego Bay Wine + Food Festival ® announces the winners of this year’s Chef of the Fest Competition. The annual competition brings top San Diego chefs head-to-head in a fierce culinary competition judged by the San Diego Chapter of ACF along with guest judges. 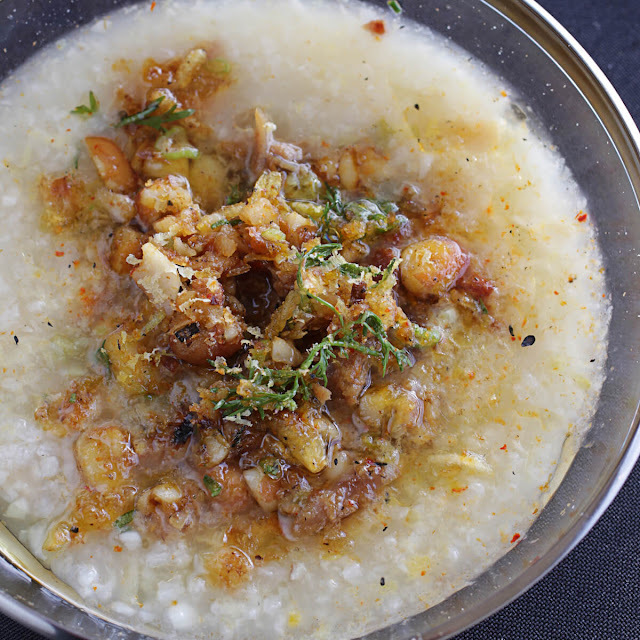 This year’s Chef of the Fest title went to Andrew Reyes of Paradise Point Hotel & Spa for his dish, Dried Scallop Congee with Palm Carmel Braised Duck with Pickled Green Chilis, Fried Peanuts and Shaved Duck Egg Yolk. San Diego Bay Wine + Food Festival® co-producer, Michelle Metter calls the competition the perfect conclusion to the weeklong food and wine festival. The 2018 Chef of the Fest Competition was judged using a blind-tasting format. Twenty-six chefs were carefully narrowed down to four finalists and four category winners using a graded point system. Participants were ranked based on cumulative scores considering the dish’s presentation, flavor, innovation, quality of product, and preparation in the allotted time. The 15th Annual San Diego Bay Wine + Food Festival® is an international showcase of the world's premier wine and spirits producers, chefs and culinary personalities, and gourmet foods. Held November 11-18, 2018 the event benefits culinary arts and enology scholarships awarded by Fast Forward Futures, the Chaîne des Rôtisseurs and the Berry Good Night Foundation. Over 200 wineries, breweries, and spirit companies and 50 of San Diego’s top fine-dining restaurants will participate in the 2018 Festival. For more information visit www.sandiegowineclassic.com Produced by World of Wine Events and Fast Forward. For more information call 619-312-1212.